Are you caught up with Oscar Buzz? I don’t care much who wins what this year; there are so many worthy, talented contenders. I just enjoy the hoopla. Maybe you, too, want to have a quiet night at home, with no distractions, to enjoy the show? Maybe you, too, want to spend as little time as possible fussing over dinner? In three Jittery minutes you can prepare this main course, Maple Dijon Chicken, leaving you oodles of time for stargazing. 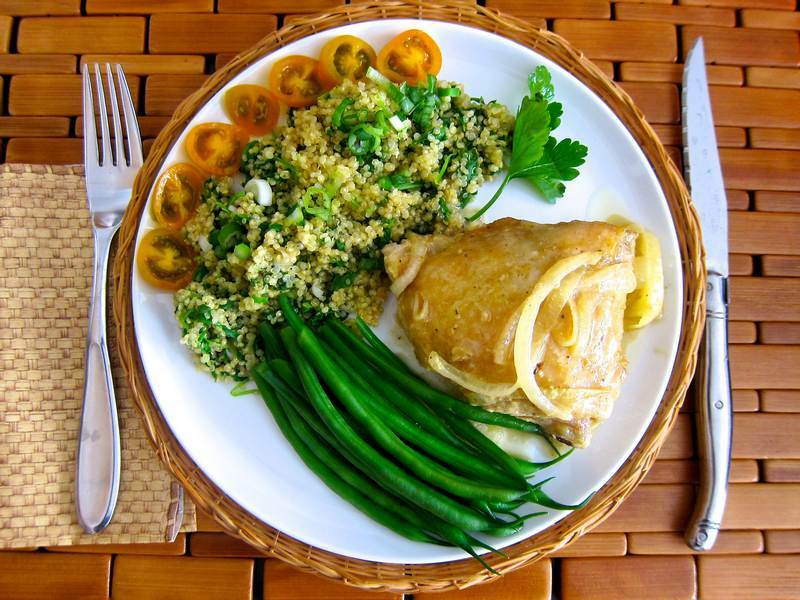 Kudos to Miriam – The Overtime Cook, who sparked my interest in Maple Dijon Chicken. The Jittery version takes less work, less fat and less salt. 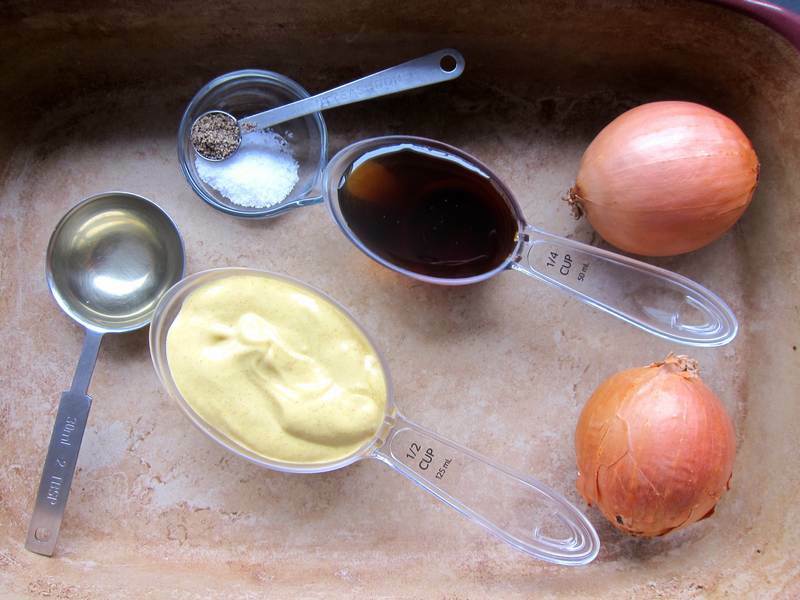 Mix the sauce ingredients in a 9×13-inch baking dish, then coat the chicken and onions very thoroughly in the sauce. Cook covered for about 60 minutes, then baste and cook uncovered for another 30 or so, until the juices run clear. Cook quinoa, stirring in arugula and scallions at the last minute. Season lightly with salt and pepper and serve with the delicious maple Dijon chicken broth. Serves 3. Check out Miriam, The Overtime Cook, and her food photography tutorial. How many versions are there of Maple Dijon Chicken? I’d say about 300,000. Check out Budget Bytes, Closet Cooking, Tastebook, Creme de la Crumb, Everyday Maven, Rachel Schultz, etc. How many of these 10 criminally ignored films by great filmmakers have you seen? How many songs do you remember by Livingston Taylor? Check him out live at a wonderful charity event for Treiser Maison Shalom coming up on June 11, 2014 at Club Soda. « Greek Potatoes with Tsadziki – Efkharisto! I know the 3 minutes does make it super tempting! Sounds perfect for the Oscar crowd I’m having tonight. Hope my plate looks as good as yours! It will! You will get the award for best plate! Thanks! Seems that many people are looking for 3 minute dinner preps.